Nine more suspected drug peddlers were killed in reported gunfights with members of the police and Rapid Action Battalion (Rab) in Dhaka city, Myemensingh, Cumilla, Sherpur, Jhenidah, Gaibandha, Satkhira and Netrakona districts on Thursday and Friday as the anti-narcotics crackdown continues across the country. Of them, two were killed in Netrakona and one each in Dhaka, Cumilla, Sherpur, Jhenidah, Gaibandha, Satkhira and Mymensingh districts. According to reports reaching the UNB news desk, a total of 68 people were killed in ‘gunfights’ across the country since May 12. In the capital, Quamrul, a listed drug peddler was killed in a so-called gunfight between his cohorts and members of Rab-2 in Tejgaon Industrial area of the capital early Friday. Sources at the Rab Headquarter said Quamrul was wanted in a number of cases. The elite force also recovered a number of firearms, bullets and Yaba pills from the spot after the gunfight. In Mymensingh, Rajon Mia, 30, a suspected drug pusher and son of Harunur Rashid of Purohitpara area in the city, was killed in ‘gunfight’ with DB police at Purohitpara in the city around 2:30 am, said AshiqurRahman, officer-in-charge of Mymensingh DB police. Rajon was wanted in five cases, said the OC. Police also recovered 420 pieces of Yaba and a shell of bullets from the spot. In Netrakona, two suspected drug peddlers were killed in a purported gunfight with police at Monang in Sadarupazila early Friday. The identities of the deceased could not be known yet. Police also recovered 750 grams of heroin, 3500 pieces of Yaba pills and two pipe guns from the spot. In Sherpur, a ‘gunfight’ with police left Azad alias Kalu Dacoit, 28, an alleged drug peddler and son of Mantaj Ali of MarakandiKhashpara of Sadarupazila, dead at Satpakia in Sadarupazila early in the morning. Aminul Islam, additional superintendent of Sherpur police, said the gunfight took place in the area around 2:30 am when a team of police conducted an anti-narcotics drive in the area based on secret information. Azad was wanted in 21 cases, including that of robbery and drugs. Kulu’s family members, who gathered at Mymensingh Medical College Hospital on Friday morning, claimed that police picked up Kalu from his house on Thursday and killed in the so-called gunfight. 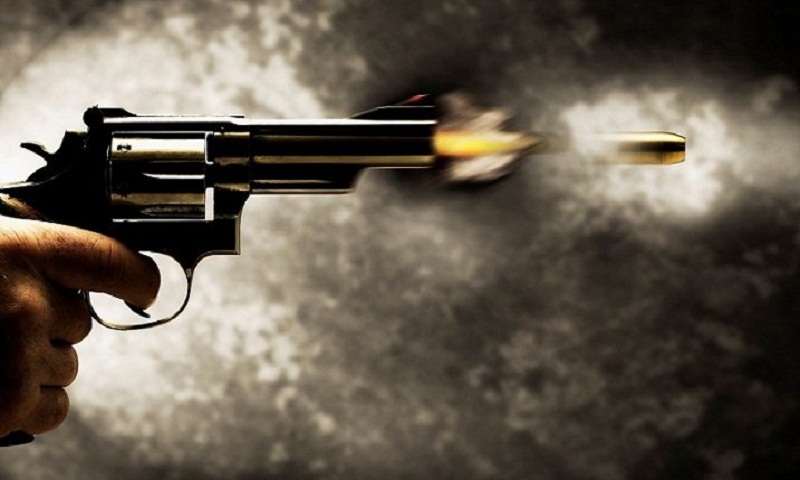 In Cumilla, Kamal alias Fancy Kamal, a suspected drug trader and son of Hiron Mia of Rajmangalpur village in AdarshaSadarupazila, was killed in a reported gun battle with police at Mahishmara in Burichangupazila early today, said Manoj Kumar Dey, officer-in-charge of Burichang Police Station. Police also arrested two of his associates—Hanif and Elias-- and recovered one LG gun and 50 kgs of hemp from the spot. Kamal was wanted in 12 cases filed under the Narcotics Control Act, said OC. In Gaibandha, Jewel, a suspected drug peddler wanted in dozens of cases related to drugs, was killed in a purported gun battle with police at Balashighat in Phulchhariupazila early in the morning, said Khan Mohammad Shahrier, officer-in-charge of Sadar Police Station. In Satkhira, Yunus Ali Salal, 45, a suspected drug peddler and son of Abdullah Dalal of Dakkhin Bhadiali village , was killed in a ‘gunfight’ between two groups of drug peddlers at Ramkrishnapur in Kalaroaupazila early Friday, said Biplab Kumar Nath, officer-in-charge of Kalaroa Police Station. Being tipped off that two gangs of drug traders were exchanging gunfire among them, a team of police went to the spot and fired five rounds of bullets to control the situation. Later, police recovered the body of Yunus. Police also recovered one shutter gun, two bullets and 70 bottles of phensidyl from the spot. In Jhenidah,ShamimSardar, 45, a listed drug pusher was killed in a ‘gunfight’ between his cohorts and police at Arpara in Kaliganjupazila on Thursday night, said MizanurRahman, officer-in-charge of Kaliganj Police Station. Police also recovered one pistol, two bullets and several pieces of Yaba pills from the scene. He was wanted in nine cases, the OC added.